Reference: Obviously the title of this ep is a play on the title of the first Doyle canon story, A Study in Scarlet. As a further treat, the victim (Charlotte) is German, and her tattoo of RACHE is immediately noticeable by Sherlock as German for “revenge” (Gregson even suggests it’s an incomplete “Rachel” first, just like in Doyle). In this ep, the tattoo is a touch up addition, which ends up being a major clue into whodunit. In A Study in Scarlet, RACHE is scrawled on the wall in blood by the murderer, as a blind. NOTE TO FORMER STUDENTS: If you find a video you’ve made here and don’t want it here, please don’t hesitate to let me know, and I will remove it immediately. NOTE: love that they just did all this on their phone, and composed music! NOTE: apart from a couple spelling errors, a gorgeous aesthetic piece on punctuation. A Brief History of Punctuation. from Henna Taylor on Vimeo. NOTE: the man-on-the-street interview idea is stellar. Too bad it wasn’t executed as well as it could have been. NOTE: not embeddable, but I did find this cover to be well sung. NOTE: I like the text dialogue into the theatrical scene. NOTE: I especially think the Google search w/narration is entertaining and witty. ENG1020studentvidspr2013 from Jenn Zuko on Vimeo. NOTE: Another one with a fantastic idea that could have had better execution. NOTE: An unusual subject to teach about. NOTE: I esepcially enjoy the snarky humor of this group. NOTE: an elegant rundown of a difficult punctuation. Particularly fun is the zombie-themed section. If you’ll recall, lovely lurkers, I normally assign a Mini-Essay when teaching Freshman Comp, and also host a Mini-Essay contest, wherein the winning essay (voted on by classroom peers) gets published to this blog. Here is one of two winners this semester, Ashley V. from the 9:30 am ENG 121 class at Front Range. Enjoy. When it comes to entertainment it all started with the radio. Slowly we advanced to the television, which ended up replacing the radio. Following the television, the computer was created and with it the Internet. Entertainment has been developing along with social changes and other technology over the years. Today, most of our generation finds entertainment from the online video sharing website, YouTube. There are a number of reasons why YouTube is more popular than television. YouTube is convenient, big television stars have caught on to the new trend, and it’s relatable. We live in a society where it’s become common for us to have immediate gratification. There are so many fast food chains that allow us to get food within seconds, there’s online banking, and following that trend, we have YouTube. A popular YouTube channel, Fine Brothers Entertainment, touch base on the topic of television being replaced by YouTube. They do this by asking different YouTubers to react to Jimmy Fallon clips online. One YouTuber they spoke to, iHasCupquake, made a good point by saying: “[the] good thing about YouTube is that you can watch it whenever you want,” (Fine Brothers Entertainment). Unlike television, any YouTube clip can be watched at any moment in the day, whenever it is convenient for an individual. There is no need to worry about when a show is on because YouTube is there whenever we have the time to spare. Another part of YouTube’s convenience is that it is free. There is no price to pay for YouTube, making it accessible by anyone with Internet access, unlike its counterparts Netflix and Hulu. Most recently, big television stars, like Jimmy Fallon or Ellen DeGeneres, have started to upload certain clips from their show to the Internet. The clips are more often short highlights from an episode recently aired on television. YouTuber Jenna Marbles made a compelling point that “If [we are] going to watch the best clip online, [we are] not really going to tune in and watch the whole thing,”(Fine Brothers Entertainment). Not many people know when television shows actually air anymore, and this also relates back to the convenience of YouTube, where we don’t need to know the time a show airs to enjoy an episode. Unlike television which was created for the common person, the best part about YouTube is that there is entertainment for everyone. There are so many different channels for people to watch and relate to and this makes the entertainment on YouTube more tailored to everyone individually. If someone is interested in video games, fashion, or daily vlogs, there are YouTube channels for them. YouTuber Tyler Oakly put it best: “Shows the power of the Internet,” (Fine Brothers Entertainment). YouTube has a plethora of different entertainment options so there is always something for everyone. YouTube is the next step in entertainment. We are currently living in an age where the Internet means everything, with almost every person owning a laptop, home computer or even a mini computer in our own pockets. YouTube has become more accessible and relatable, therefore our first choice when it comes to entertainment. Fine Brothers Entertainment. “YouTubers React to Jimmy Fallon (The Tonight Show)” Online video clip. YouTube. YouTube, 13 March 2015. Web. 31 January 2016. My latest for Sherlock’s Home. Lots of Easter Eggy nuggets in this one. …are you all singing with me now? a) now that’s fabulous slang! b) it’s even going around in Scotland? Have you been watching Vikings? They have a casting call out for shield-maidens. 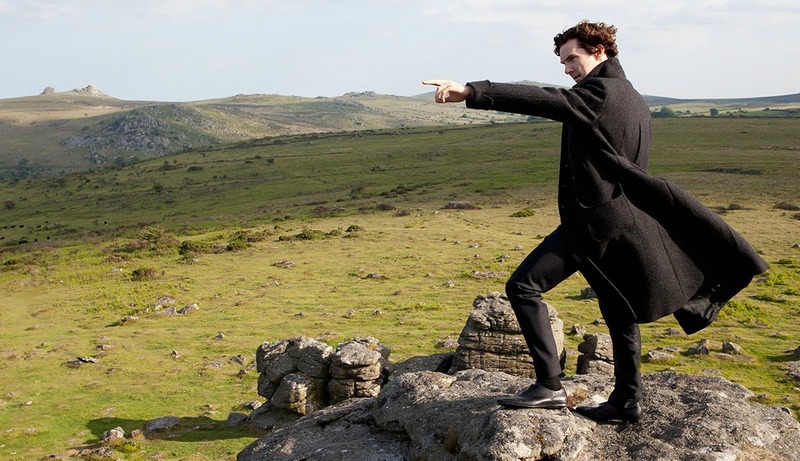 Speaking of good TV, Sherlock Season 4 is filming in new studios in Wales. Did you know that swordfights look nothing like Hollywood? Yeah, me too. There’s a new lightsaber combat manual out that’s taking Amazon’s bestseller lists by storm. Some friends, both remote and close, have had relatives pass away recently. This blog post is a beautifully written musing on grief and related matters. Farewell, I Miss My MTV…. My latest for Sherlock’s Home. I did make the mistake of not verifying the pageboy’s name, but other than that, methinks you’ll find these Easter eggs accurate and intriguing. There are so many more than ten Easter Eggs in this episode, both referring to the Sherlock series so far and to the original Doyle stories, I was hard put to it to narrow it down to these. Include your favorites in the comments. 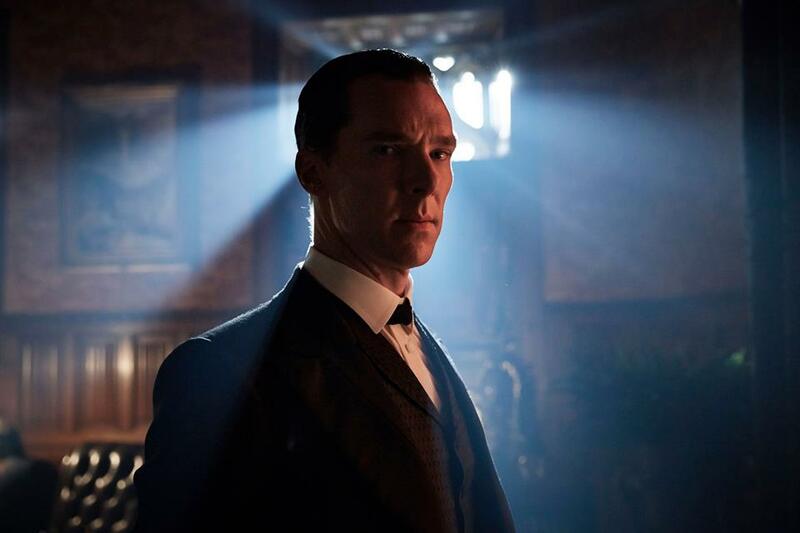 In ‘His Last Vow’, Sherlock thinks he has encountered Lady Smallwood threatening Magnussen, as he recognizes her perfume, Claire de la Lune. Thing is, Mary Watson also wears the same perfume, and it was left as a message to John before the big reveal. In this episode, Sherlock recognises Mary by her perfume, though he doesn’t mention what scent it is.